Hanagans in the Law | Hanagan & McGovern - Experience that counts! People frequently ask if we are related to some of the Hanagans who were lawyers in years past. There were several of Steve’s relatives that were attorneys in Franklin County, Illinois and Jefferson County, Illinois, so we offer this brief history of past relatives in the field of law. In 1935, after graduating from the St. Louis University School of Law, Steve’s Grandfather, Michael J. Hanagan was licensed to practice law in the State of Illinois. 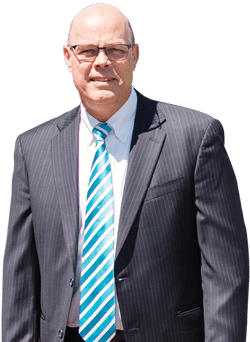 Mike Hanagan resided in Franklin County, Illinois and spent the majority of time in practice representing injured workers in Illinois Workers’ Compensation matters. He served as legal counsel for the United Mine Workers’ of America and represented numerous union workers in their claims for benefits up until his death. Francis P. (Frank) Hanagan , was Mike’s brother. Frank began practicing law in Franklin County, Illinois, in 1940. He also graduated from St. Louis University School of Law. After years in private practice he was elected Circuit Judge in Franklin County, a position he held until shortly before his death in the 1970’s. Berenice Hanagan, was one of the first female attorneys to graduate from St. Louis University’s Law School, in 1944. She was married to Frank Hanagan and also practiced law in West Frankfort and Benton Illinois. Berenice concentrated her practice in the areas of Estates and Real Estate Law until her death in the 1980’s. William D. Bill Hanagan, Steve’s father and son of Mike Hanagan, was born in Benton, Illinois in 1927. He graduated from Georgetown University School of Law in 1952 and was admitted to the District of Columbia and Illinois bars in 1953. He founded the law firm of Hanagan & Dousman, in Mt. Vernon Illinois in 1955 where he practiced for over 50 years until his death in 2006. 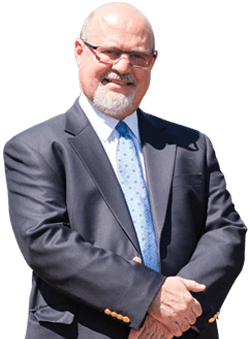 His practice involved the representation of injury victims and their families in personal injury and workers’ compensation claims the entire course of his practice. Both Steve Hanagan and Brian McGovern had the honor and good fortune of practicing with Bill Hanagan for a number of years where they learned the skills necessary to properly represent injury clients in personal injury and workers’ compensation claims.